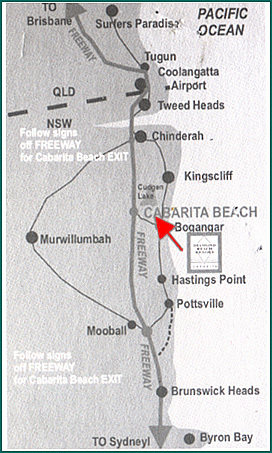 Cabarita Beach has it all, clear azure waters and golden sand beaches. It is picture perfect, an oasis. Come stay at the Diamond Beach Resort and enjoy everything this slice of paradise has to offer. Enjoy your relaxing holiday at our stunning beach hotel in Cabarita - Surfing, fishing, swimming, golfing, bowling, walking, hinterland day trips around Tweed Valley and the Mt Warning. Relax in the hot outdoor spa or swim in our pool. Just laze around in the friendly atmosphere of the beach resort, have a BBQ meal or play table tennis. There is an endless array of things to do at our stunning beach resort in Cabarita. Diamond Beach Resort Nature Abounds Stunning Beaches Great Facilites. Diamond Beach Resort, Cabarita Beach is a true paradise, it sits beautifully on the well landscaped grounds and is only metres away from the beautiful Cabarita Beach. 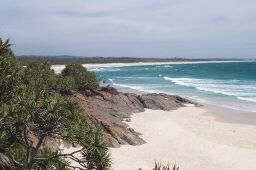 It offers excellent surfing and fishing and only a 10 minute walk to the stunning Norries Point lookout. Excludes Easter and Christmas school holidays. Maximum 6 people per unit. $20 extra per person per night. All offers subject to availability and room allotment so please book early to avoid disappointment. Once you have your Oceanroad voucher simply call the resort on: (02) 6676 3232 stating you have an Oceanroad voucher. Voucher must be surrendered to resort on arrival. Only 1 x $89 deposit voucher per offer only. * Fully self contained 2 Bedroom Apartments. New resort Managers, Deb & Tony look forward to welcoming you soon.